Williams, Paul . "Colin Mochrie". The Canadian Encyclopedia, 04 March 2015, Historica Canada. https://www.thecanadianencyclopedia.ca/en/article/colin-mochrie. Accessed 18 April 2019. Colin Andrew Mochrie, actor, comedian, writer, director (b at Kilmarnock, Scotland 30 Nov 1957). Colin Mochrie has a dry, languid approach to comedy that few of his contemporaries can match or even imitate. 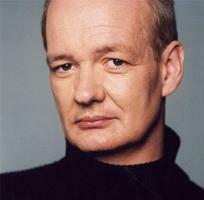 Colin Andrew Mochrie, actor, comedian, writer, director (b at Kilmarnock, Scotland 30 Nov 1957). Colin Mochrie has a dry, languid approach to comedy that few of his contemporaries can match or even imitate. Mochrie, who created and developed many of the shows and characters that made him famous, has a matter-of-fact delivery, sad expression and carefully controlled demeanor that suggest a number of classic comedians from the silent film period, such as Harry Langdon and Buster Keaton. Mochrie's unique and somewhat antiquated performance style and razor-sharp wit have made him one of the busiest and most recognizable actors in Canada. Mochrie's family came to Montréal from Scotland in 1964 and 5 years later moved to Vancouver. After graduating from Killarney Secondary School, Mochrie began to experiment with improvisational comedy through the Vancouver TheatreSports League. In 1986 he became involved with Toronto's famed Second City troupe. He wrote and performed numerous shows and directed the national touring company for 3 seasons. In 1991 Mochrie was invited to appear on a BBC improv comedy show called Whose Line Is It Anyway?. Its loose, almost non-existent narrative structure, comprised mostly of quick, one-off skits derived from audience suggestions, proved to be a perfect fit for Mochrie's quick wit and expansive imagination. He became a favourite with British audiences as a regular performer on the show until 1998, when the series producers approached him about appearing on a spin-off they were developing for the American Broadcasting Corporation. 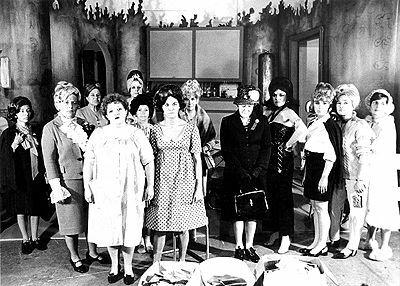 The American incarnation premiered with the same title and structure as the original program and was an enormous success until its end in 2006. While Mochrie is best known for his work on Whose Line Is It Anyway?, he has become one of the most oft-sighted performers within Canada. During the height of his popularity in the US, he became a regular cast member (2001-03) on the Canadian series This Hour Has 22 Minutes; the cast was nominated in 2002 and won a Gemini Award in 2003 for best ensemble performance in a comedy. In 2006, he developed a scripted television series for the CBC with his wife Debra McGrath. Getting Along Famously was a clever, self-conscious and short-lived series about a feuding show-biz couple struggling to keep their variety show on the air. Mochrie and McGrath co-wrote and starred in the series and Mochrie was nominated for a Gemini in 2005 for best comedy writing. 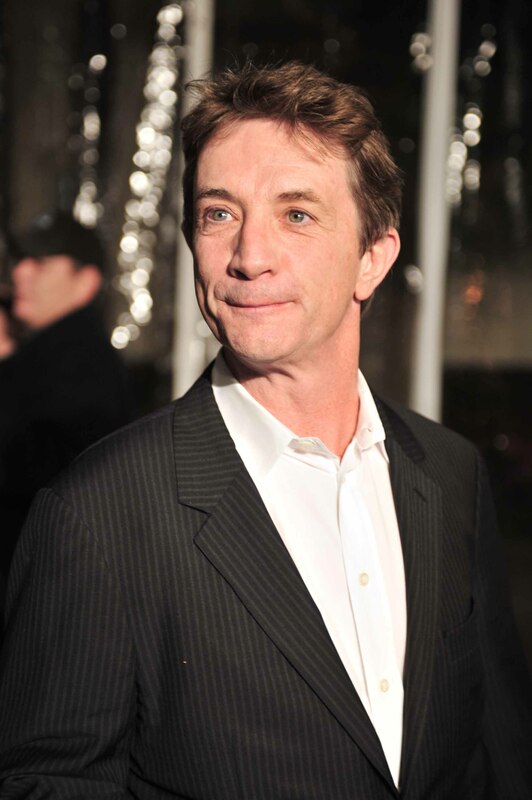 In 2008 he was nominated for a Gemini for best host or performance on History Bites, a sketch comedy series. In 2009 he received the Barbara Hamilton Memorial Award for excellence in the performing arts and arts advocacy. ACTRA Toronto presented him with its Award of Excellence in 2010, recognizing "an outstanding body of work by a performer as well as their efforts on behalf of the acting community and Canadian culture." Mochrie has also been nominated for and won a number of Canadian Comedy Awards, including the 2012 Dave Broadfoot Award. In 2010 Colin Mochrie stepped onto the stage at the Bluma Appel Theatre in Toronto to co-star in Canadian Stage Company's production of Art, a play he describes as "an examination of how fragile and how enduring friendships can be." He has also been seen with the Toronto-based The National Theatre of the World, a small company of improv actors. Mochrie tours with Whose Line Is It Anyway? cohort Brad Sherwood at sold-out venues throughout North America, and remains active in the Canadian television industry. He has appeared in Sunshine Sketches of a Little Town and She's the Mayor here at home, and in the US on Drew Carey's Improv-A-Ganza and Trust Us With Your Life.